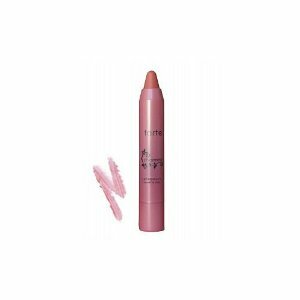 Just like other products from Tarte this lip stain is made with natural ingredients. The lip stain is designed with LipSurgence(TM) technology which Tarte says, "is clinically proven to increase moisture content by an astonishing 6000%". Tarte Natural Lip Stain is formulated with peppermint, just like the best selling cheek stains it should give a natural flush that lasts all day long. With the help of the LipSurgence(TM) technology increasing skins water retention. It will give a fuller lip appearance, which will make lips more hydrated and smooth. Like other Tarte cosmetics this doesn't contain Parabens (no toxic preservative)- Sulfates- Synthetic Fragrances- Synthetic Dyes- Petro-Chemicals- Phthalates- GMOs- Triclosan. This could be an appealing trait for those of you that like to keep it natural. This stain is available in 6 pinky natural looking shades. All shades contain:Ricinus Communis (Castor) Seed Oil, Caprylic/Capric Triglyceide, Vegetable Oil, Candelilla Cera, Cera Alba, Hydrogenated Vegetable Oil, Castor Oil Bis-Hydroxypropyl Dimethicone Esters, Ozokerite, Simmondsia Chinensis (Jojoba) Seed Oil, Limnanthes Alba (Meadowfoam) Seed Oil, Mentha Piperita (Peppermint) Oil, Dimethyl Isosorbide, Stevioside, Salicornia Herbacea Extract, Palmitoyl Hexapeptide-14, Ascorbyl Palmitate, Tocopherol, Glycine Soja (Soybean) Oil, Red 27 (CI 45410). (+/-): Iron Oxides (CI 77492, CI 77499), Red 28 Lake (CI 45410), Red 28 (CI 45410), Red 7 Lake (CI 15850), Yellow 5 Lake (CI 19140). Tarte have seemed to made a average collection of lip stains. Quite a few patrons think the stain is so-so, but the range of colors seemed a little bright for some who just wanted a more natural shade. Although just as many ladies liked the brightness of the stains. Most users thought it was long lasting and very moisturizing. However, they found the moisture surge only lasted a while after application, then seemed to dry out their lips once it had dried. If you fancy giving Tarte lip stain a try it retails for an expensive $24. Could be worth a try, especially if your a fan of the brighter shades. You are currently browsing the archives for the Tarte category.